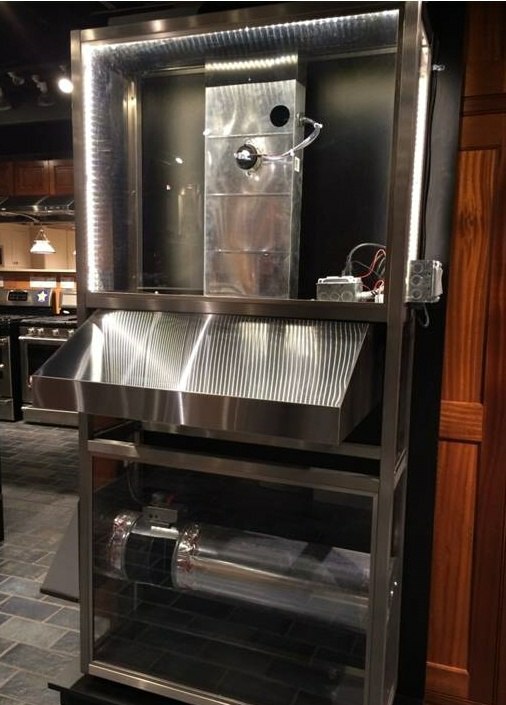 Make up air will be required in your kitchen remodel or new construction project if your range hood system is capable of exhausting in excess of 400 Cubic feet per minute. Picking out the appliances and designing your kitchen is a lot of work and at Yale, we try to make it fun at the same time. Unfortunately, when we start talking about ventilation, the fun usually stops at the first mention of make up air. I love these hoods. If you are in Massachusetts, the issue of make up air must be addressed before installation. When is make up air needed? What systems are the best? Who installs these systems? Is it expensive? Yikes, these are daily questions on our sales floor and we will answer some of these here in this article. If you are planning construction, make-up air needs to be one of your first topics. One hundred forty six municipalities in New England have adopted the new Board of Building Regulations and Standards Stretch Code, as of October 28, 2014. New homes or renovated homes are built tighter, with EnergyStar rated windows and doors. These newer Greener homes are built better than the draftier older homes. With tighter homes, the concern of static pressure has also become an issue. If you have a connected garage, there is a possibility of pulling carbon monoxide into the kitchen. If you have any fireplaces or systems with pilots or flames, there is a concern of your exhaust hood pulling air from those systems. 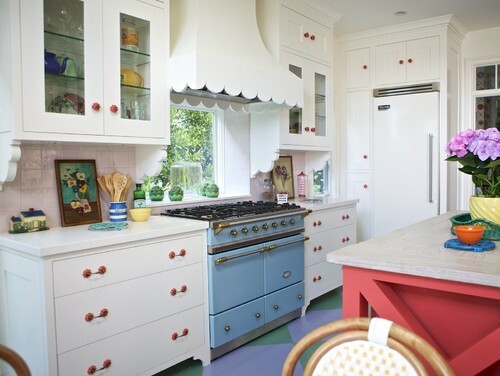 When you select expensive cabinets and fresh paint, one great way to protect that is with a powerful hood over your cooking system. A hood with a minimum of 600 CFM is usually suggested to pull smoke, grease and heat into your ventilation system. Many contractors are buying a simple 400 CFM hood, which fulfills the make up requirements. A 400 CFM hood cannot handle grease and steam if you like to fry, grill, or use a wok and griddle. Two years ago when our customers started dealing with makeup air issues, we had our lead installer and master electrician design and build a makeup air display. This simplifies and demonstrates how a possible make up air solution will work. As the video showed, with the $259 purchase of a makeup air pressure switch, a $63 make up air wall intake and then the process of installing 2 low voltage wires down to the basement. With some duct work and labor, it’s not an enormous fee to meet code with a ventilation system in your home. With homes that have central air conditioning, you can put the makeup air back in the return duct of this system. In a home that does not use forced-air ductwork; the makeup air can be routed to a register or an interior wall. As mentioned previously, please always refer to a qualified HVAC technician, licensed contractor and local code. Preparation is key. You do not want install this after the hood has been placed and the ducting installed. Just be mindful of this provision before an inspector forces you to do so. The solutions are simple, basic and inexpensive.